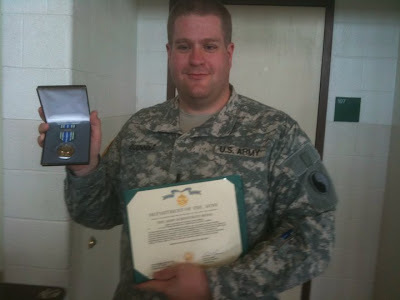 Got a medal (AAM, Army Achievement Medal) for my work during AT. Played around at Busch Gardens Virginia. Went to a nice little wine festival in Staunten VA. Played a fun game (Bioshock 2) and a mediocre game (Crackdown 2). Went through 5 books (The Lost Fleet series by Jack Campbell, pretty good military SF). Overall a pretty good month.